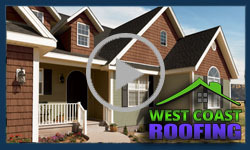 West Coast Roofing provides rock solid warranties on all of our products and installations. Due to the vast number of options and variables involved with every project, the warranty provided will ultimately depend upon the scope of work to be performed. Your customer service representative will be more than happy to go over the details of your warranty when your proposal is submitted. If you have an issue with an installation, please contact us as quickly as possible at 503-477-7792 so that we can take care of the problem promptly.